This promotion is now over. See you next year! The Goat’s Christmas Wish is back. Every year you help us make miracles happen for people in Lloydminster and surrounding area. Nominate a family right now using the form below. This year’s deadline to nominate is Sunday, December 9th. All nominations will be presented to a third-party committee. This committee will then decide as a group, which five nominations will be selected. 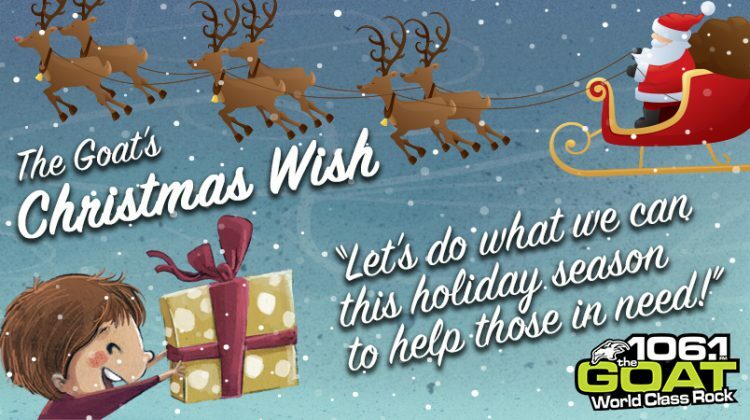 The Goat’s “Christmas Wish Week” will take place Monday, Dec. 17th to Friday, Dec. 21st 2018. Please tell us about the nominee.